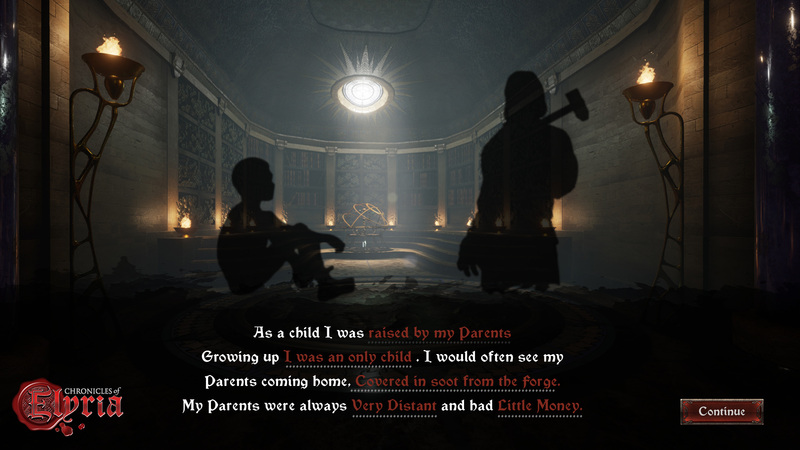 Families in Chronicles of Elyria become the center of your social experience. Meant for small groups of IRL friends or people who have played together in other games, the family fills the role that a close-knit guild might in another game - plus much more. The player-run family you select can have a huge impact on your social experience, and not just when interacting with other family members. Your choice of family (and their social class) impacts how other NPCs, OPCs, and players interact with you. The family you choose will also determine things like what type and how big your starting house is, and how much land your family has for farming, mining, breeding, and other land-based activities. During character creation you are bound by the laws of genetics for your chosen family. Like in our world, there's a collection of physical attributes that get passed on from parents to children that include hair, eye, and skin color, different facial features, height, and a range of other body attributes. The constraints placed on a child's physical appearance guarantees that family members closely resemble one another. Being a part of a player ran family could mean inheriting titles, riches, and character traits from your parents and ancestors. Then, once you are older, you can marry someone (opposite or same gender) and have kids, using a Child Contract, to build out your dynasty. Our family system fully supports official marriages between characters of same or differing genders. Same gender families can also have children by finding someone of opposite gender in the world who is willing to have a child using the Child Contract. Families are also the method for inheritance and choosing your next character. When having a child you could choose to reserve them as your official Heir, which keeps them out of the world until your original character reaches permadeath. Alternatively you could choose a non-family member as your heir, but that will be less typical. When selected as your Heir that character will inherit your land, title, wealth, and possessions. With your next Spark of Life, you can then choose to play as your heir with the same family support system as you continue to build out your family dynasty.